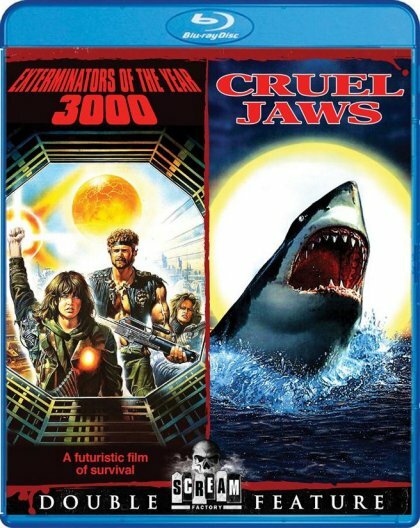 Initially, the Bruno Mattei-directed Cruel Jaws (1995) was supposed get its first ever Blu-ray release in the US with a double feature pairing it with Exterminators of the Year 3000. However, Scream Factory had to scrap this plan and cancel it from the release schedule. But why didn't it work out? Well, according to Scream Factory, Cruel Jaws took several scenes from the Jaws trilogy and other Italian shark movies. In Italy, the makers seemingly didn't encounter legal difficulties by doing so but the folks in the US surely aren't so relaxed in these matters. For a minute, the distributor thought about removing the risky material and just releasing what was left of the film but ultimately decided against it because it wouldn't serve the fans. This all means that the film will have to continue to wait for its Blu-ray debut.